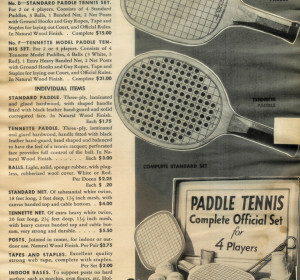 Source: Adapted from Fessenden S. Blanchard, Paddle Tennis, 1944, and from Fessenden S. Blanchard, Platform Paddle Tennis, 1959. 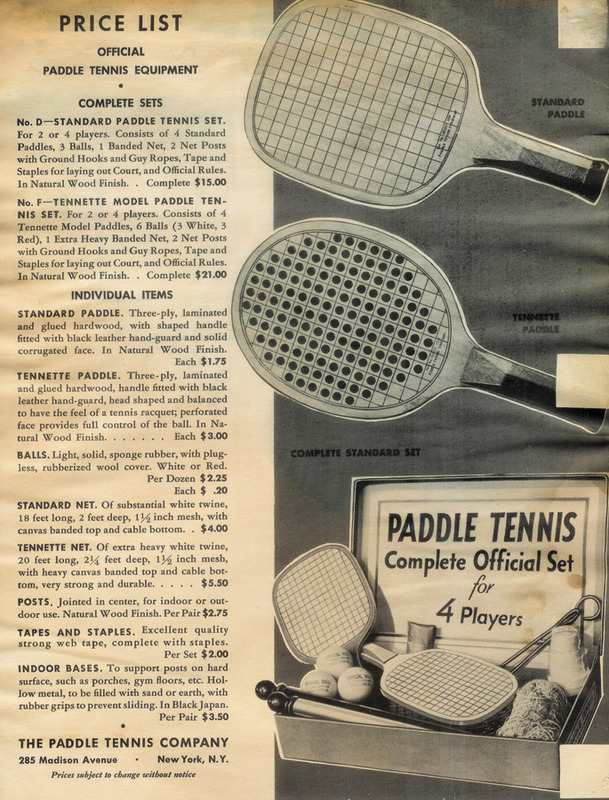 The net height was lowered and court dimensions altered from the original Paddle Tennis standards. These changes and the adoption of the one serve rule allowed for a nice balance of advantage between server and receiver.